Home » shoes » Welcome to the Shoe Fête! The first 10 photos in this post are not owned by the author. Photo sources are linked in the captions. Cool post and the photos are neat. I do not have that big a shoe collection. Ohmigod, you'll have to excuse the terrible, terrible mess that was my room. Haha! This is kind of embarrassing, but thank you for including me here. :) I want to raid Paris Hilton's shoe closet, not because I'm a fan of her, but because I know we wear the same size. Lol. I hate them all!!! Not the shoes... 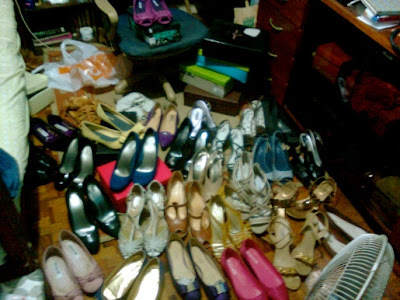 I hate them all for having all those shoes --- I love Mariah Carey's shoe closet, it's so unfair! Those women are going to have serious foot problems by wearing those high heeled shoes. Just saying! Oh how this post made me smile. I don't think these ladies have near enough shoes, do you? I have a walk in closet, but it doesn't hold a candle to these. Most of my shoes are in baskets. Your shoe collection is impressive, but you got a long way to go to keep up with these. lol! Don't we all? I loved seeing all those stars shoes. Yes, you are starting to fit in Diane! Oh wow! Their shoe closets are bigger than some homes! Your shoes look so much more practical and I'm sure you won't be keeping a podiatrist in business. Wow, those are some fantastic closets! 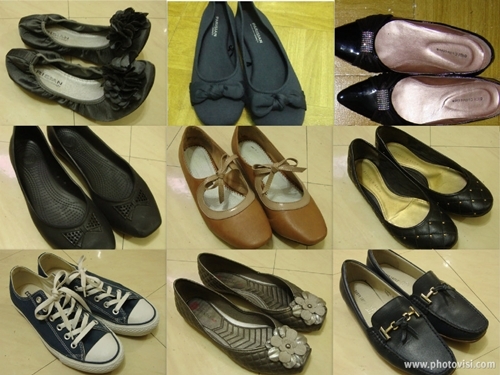 I have quite a lot of shoes but used to have even more. Now my shoes are categorized by how long I can tolerate the pain for the sake of the beauty. I truly do have some shoes that I will only wear if I will be sitting the entire time....lol! Don't judge me! I'm much more into the flats & flipflops now! how can any one person own that many shoes? I bet most of these celebrities don't even wear half of them! I like shoes as much as the next women, but I'm satisfied with a couple of sandals for summer and sturdy shoes for winter, plus some heels. That's it!